…and if we take into account that 8 of the top 10 articles were all suggested in 2016 and 2017 (when Zest was a much less competitive stream) hopefully you’d agree that I’ve done alright. 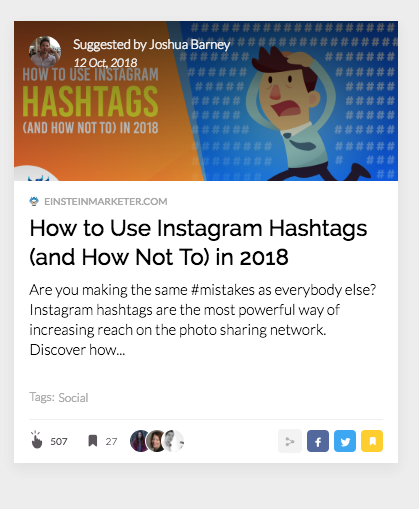 There’s still work to be done, I don’t hold number 1 slot on the most clicked articles YET (yes, I’m way too competitive for my own good), but my knowledge of their content stream puts me in a good position to help newcomers and anybody who’s struggled to generate the clicks they deserve. 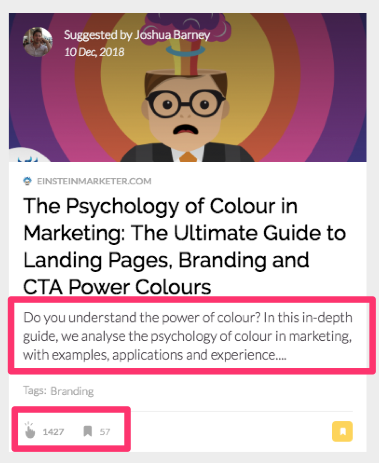 In the remainder of this article, I’m going to lay down 7 red-hot tips that I’ve learnt from tests, my own content marketing experience and the 88 articles* I’ve published on the platform. Put simply, Zest is a content stream that replaces your Google Chrome browser’s home screen. 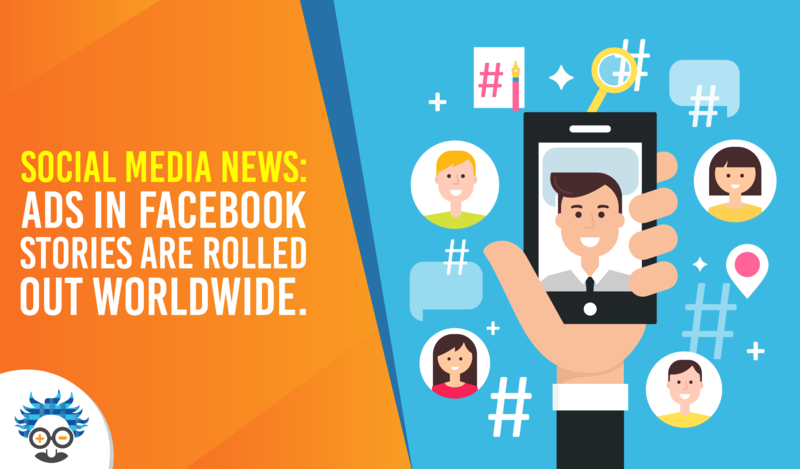 It constantly shares fresh, valuable, educational marketing content. As a marketer or content creator, it allows you to share your content with an audience who are genuinely interested in it, reaching a tribe of people who are much more engaged than a social media newsfeed. Zest use a team of moderators to maintain the high standards of their stream. Effectively acting as a filter for anything considered clickbait, thin or just down-right crappy. That’s enough of the chit-chat, let’s take a peek into the world of Zest clicks! I don’t know about you, but when I’m searching for content I prefer to see articles that are relevant to me. That’s why I always use the ‘Tags’ feature (on the right hand side of the content stream). This allows me to filter out all the articles that could clutter my personalised content stream as well as improving my experience. And guess what? I’m not the only one! There are 31 ‘tags’ available to users (in addition to the ‘ALL TAGS’ option). In order for you to generate more clicks on Zest, it’s important to understand which of these ‘tags’ are the most viewed (and selected by Zest users). I’ve been through the top 50 most clicked articles on Zest and discovered that 23 of the 31 tags appear at least once. Of those, 10 tags appeared more than 3 times. Of all the Zest tags, Social appeared 12 times, putting it ahead of Strategy with 10 and Paid with 9. 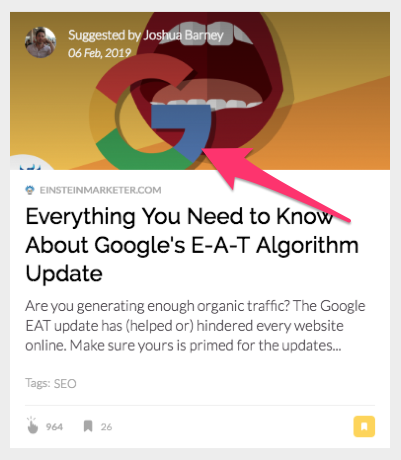 This type of information is crucial to a content creator who is looking to drive traffic from Zest’s content stream. When you understand what your audience are most interested in, you can create content that targets them more effectively! 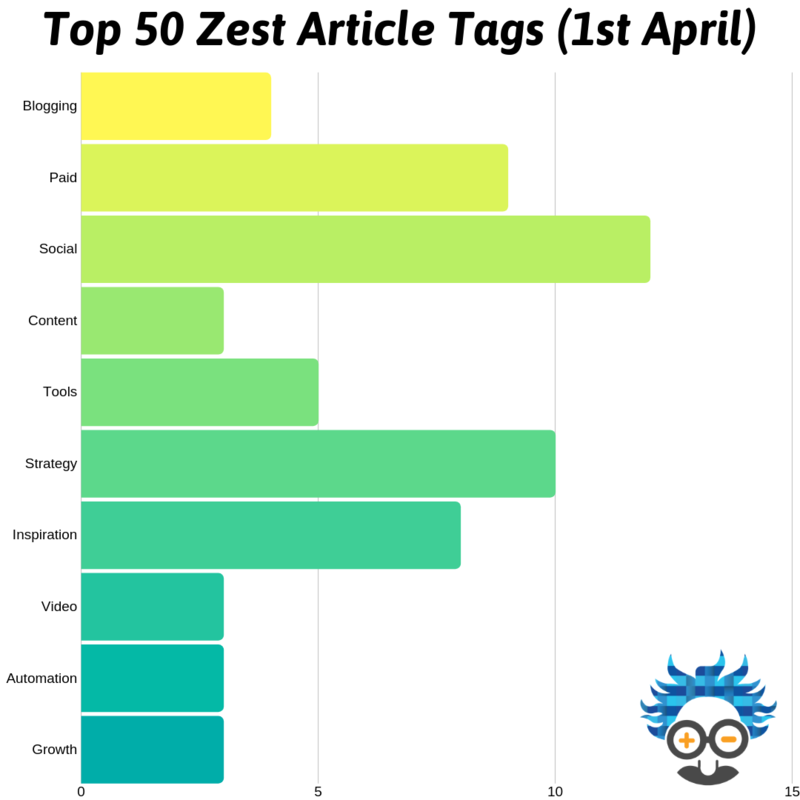 Check out the top 50 Zest Article Tags (in the graph above) and see how you can incorporate your knowledge, skills and experience to target the Zest audience’s most popular tags. 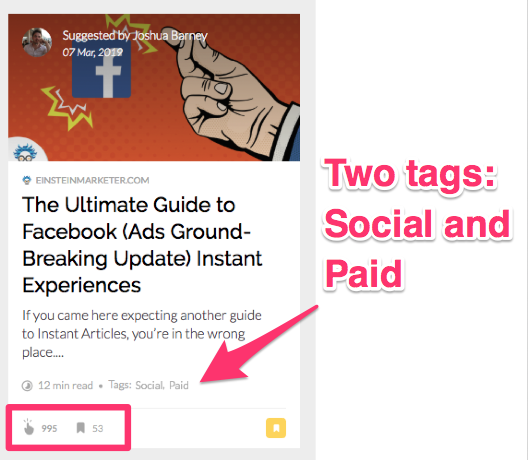 BTW: Zest decide what Tags appear on your article, all you can do is create an article with a clear focus on one (or multiple). The more Tags you’re given, the more people you’ll reach. 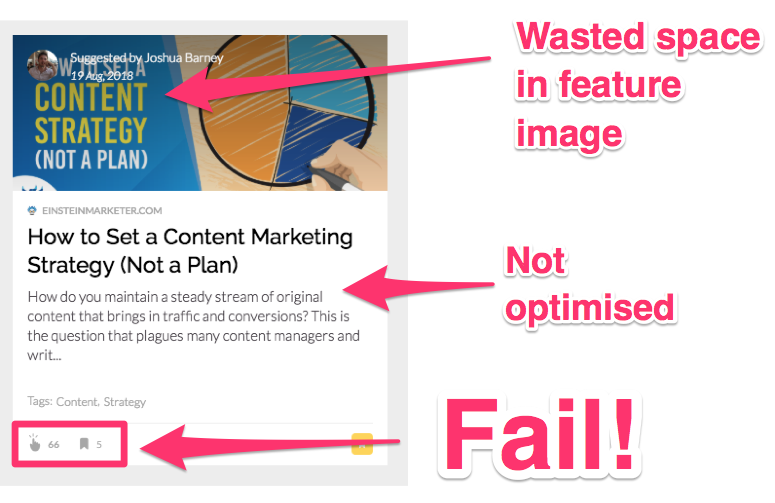 A large percentage of your article tile is taken up by the featured image, so it’s definitely something worth analysing and optimising to improve your click rate. When we began sharing articles on Zest, all our featured images included headlines, titles or text. Zest’s image dimensions are not the same as ours. This results in cropped images and when text is included, the headlines too. The headline is in bold underneath the image. Placing a headline in the image (as well as beneath) acts as repetition in a very small space. 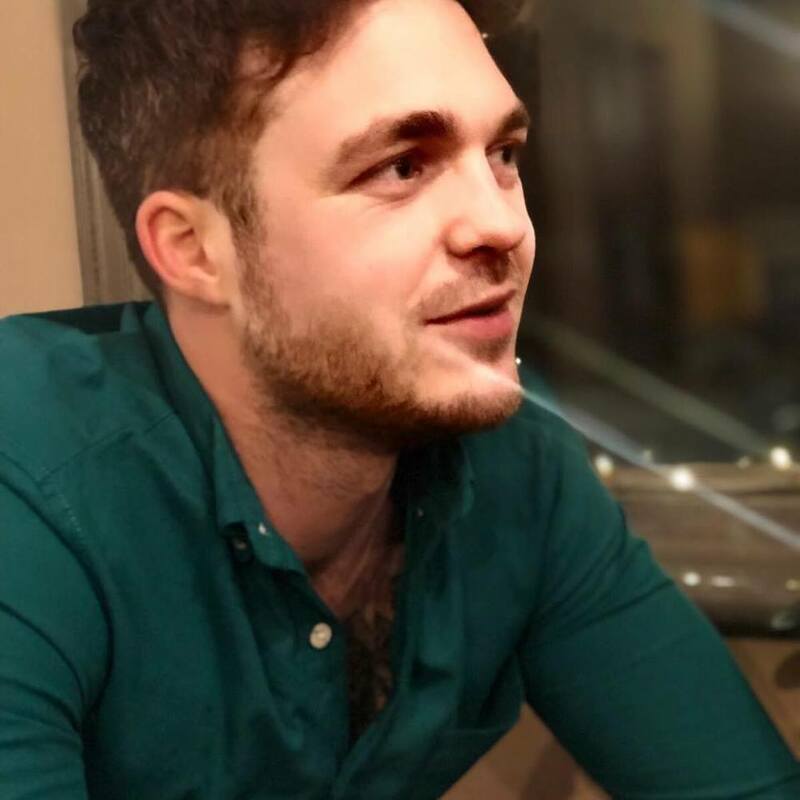 The name and photo of the profile who ‘suggested’ the article always overlaps the top left of the image. As competition continues to grow on the Zest stream, it’s imperative that you use your image to draw the eye, giving your headline the chance to captivate the reader. As well as this, I advise using graphics instead of stock photos. Graphics are brighter, allow you to build a recognisable brand and 35 of the top 50 most clicked Zest articles use this tactic. …and if you try to use the headline tactics that I’m about to share with you without backing it up with a wicked-smart article, you’re (hopefully) not going to be accepted by the Zest moderators. That being said, let’s look at what the Zest audience look for in a killer headline. 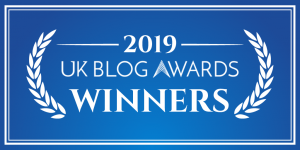 For this analysis, I looked at the most clicked articles on Zest, as well as taking a closer look at what’s worked for me. 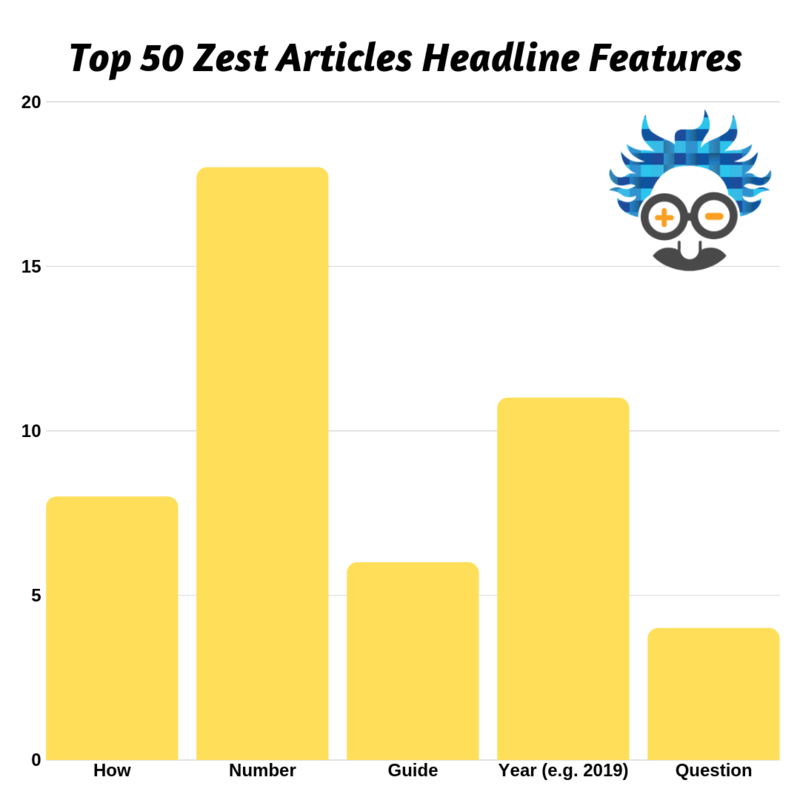 Let’s first analyse the 50 most clicked articles on Zest. While trying to find actionable tactics, I analysed the headlines for clearly definable features that could easily be replicated. Question: This tactic draws the eye and often leaves audiences searching for the answer (and clicking on the article), e.g. How Much Money Can a Brand Ambassador Program Save Your Company? If you’re serious about generating more clicks from Zest’s content stream, try to use one of these features in your headlines! Alongside your image and headline, Zest pull a snippet of text to act as a Google-style meta description. Throughout my history of sharing articles on Zest, I’ve seen text drawn from my Meta Descriptions, the opening lines of my articles and occasionally, from the excerpt (I place just above our article on our content pages). This sounds like it should make our lives more complicated, but in reality, you should be optimising your meta descriptions for clicks (on every article) and your opening lines should always encourage readers to carry on reading (usually by opening loops). This line uses numbers to make a bold claim, opens a loop in a readers mind and positions me as an expert on the subject (it’s also entirely true!). If you’ve read this far, that opening line definitely has something to do with it! …do not undervalue its importance! Digital marketers rely on a plethora of tools, software, platforms and networks, so when they’re included in the headline, image or text excerpt, they draw attention and gain clicks. 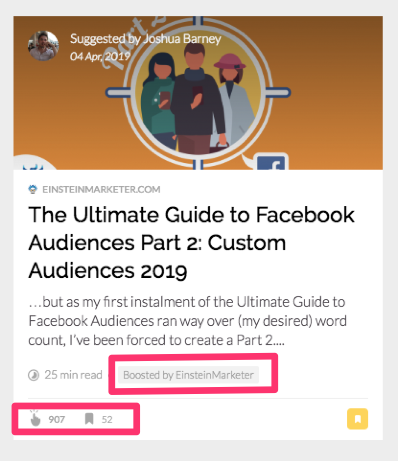 The audience at Zest is very niche, everybody who uses the Google Chrome extension has an interest in learning more or upping their marketing game, making this an amazing tactic to drive more clicks. …what could you share that will provide value and drive clicks? …meaning that I’ve tapped into your brand recognition and desire to improve your performance. Zest have tested a few different forms of content boost during our time using them, but I think they’ve hit the sweet spot with their current technique. When boosting your content, your article appears on the Zest content stream (at different times) over the course of a month. Whilst you can’t pick and choose the times of day you’d like your article to appear, I’ve noticed that their boosting team use a variety of time slots to give your article the best chance of gaining clicks. Boosting your content can generate as many as 10x the clicks of a regular ‘suggestion’, and it’s well worth the money if you have a piece of content that deserves attention (e.g. a pillar, or super high value article). 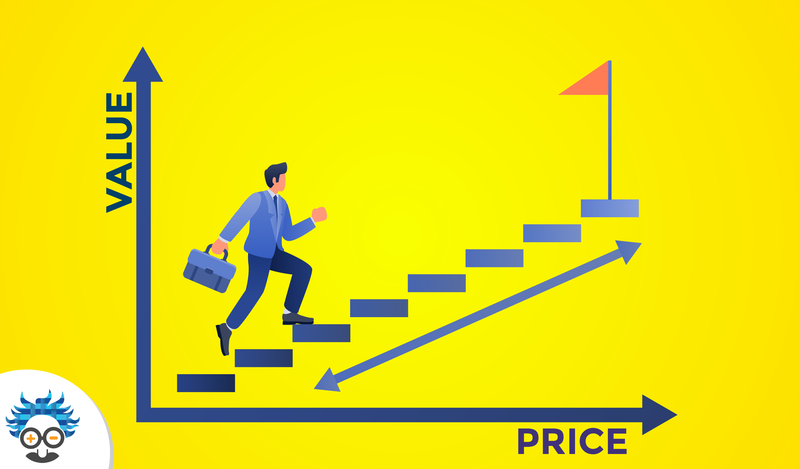 We’ve found that for the money paid, Zest’s CPC (cost per click) is generally lower than social networks (depending on the article) and generates highly qualified traffic, who spend longer on the content pages, with a much lower bounce rate. If you’re serious about content marketing, back yourself with a paid boost on Zest! 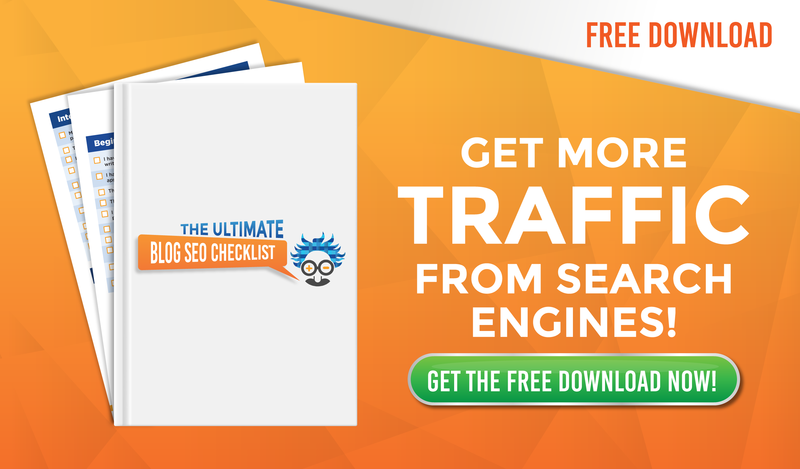 The final actionable tactic is true for anybody involved in content marketing. If you want to be a success in the field, you must put a massive emphasis on producing high-quality content on a consistent basis. This means that you simply cannot afford for your levels to drop. The articles that flop teach me just as much as those that succeed, and without them, I wouldn’t be writing this! When you’re able to consistently create high quality content that generates clicks, you’ll boost your reputation and increase your following. This causes a snowball effect, and soon enough, fewer and fewer of your articles will fail! 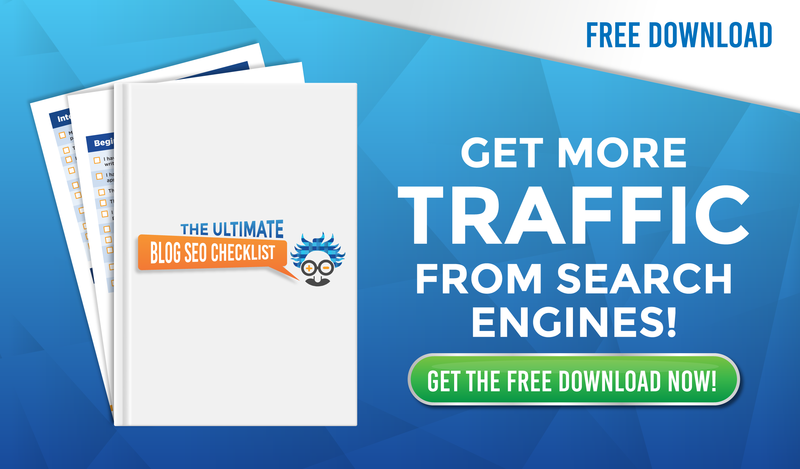 These are the 7 tactics I use to boost my chances of generating high clicks on the Zest Google Chrome Extension. …and if I’m not giving my content the best chance of being read, I’m not serving my audience properly. You must adopt the same mentality for every platform you use to distribute content. Put these 7 tactics to the test and hopefully I’ll see you at the top of the most clicked Zest articles very soon! This is helpful post Josh, giving a couple of things I overlooked. Though I have been zesting for a few days or weeks, I need more of these tips to drive my presence towards better results.